Red and Mandy’s quiet life takes a dark and bizarre turn when a nightmarish cult seeks to possess Mandy…body and soul. A shocking assault on the couple leads to a spiraling, surreal, bloody rampage of all out, mind-altering vengeance. 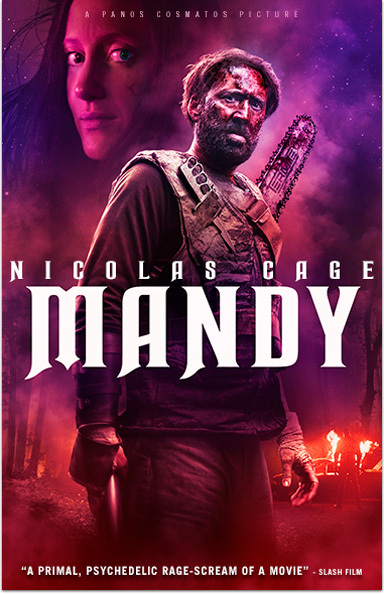 MANDY © 2017 Mandy Films, LTD. All Rights Reserved.